The Sola Photo 800 is a powerful, ultra lightweight (approx. 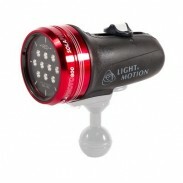 10 ounces), SCUBA photo light. 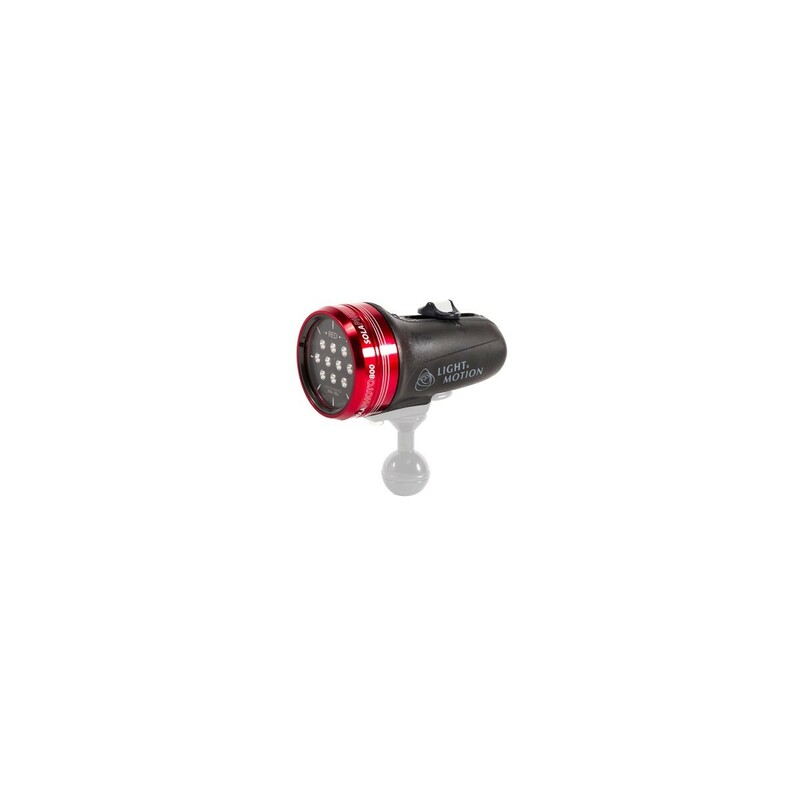 With the versatility of two lights in one, the Sola Photo 800 provides up to 1200 lumens white light or 226 lumens red light with a tap of the slider. Sola Photo 800 comes standard with 3 power settings in each mode, with a dashboard display for viewing battery status and managing power settings. Each Sola is factory sealed and 100% tested for extreme reliability, virtually eliminating any possibility of flooding. 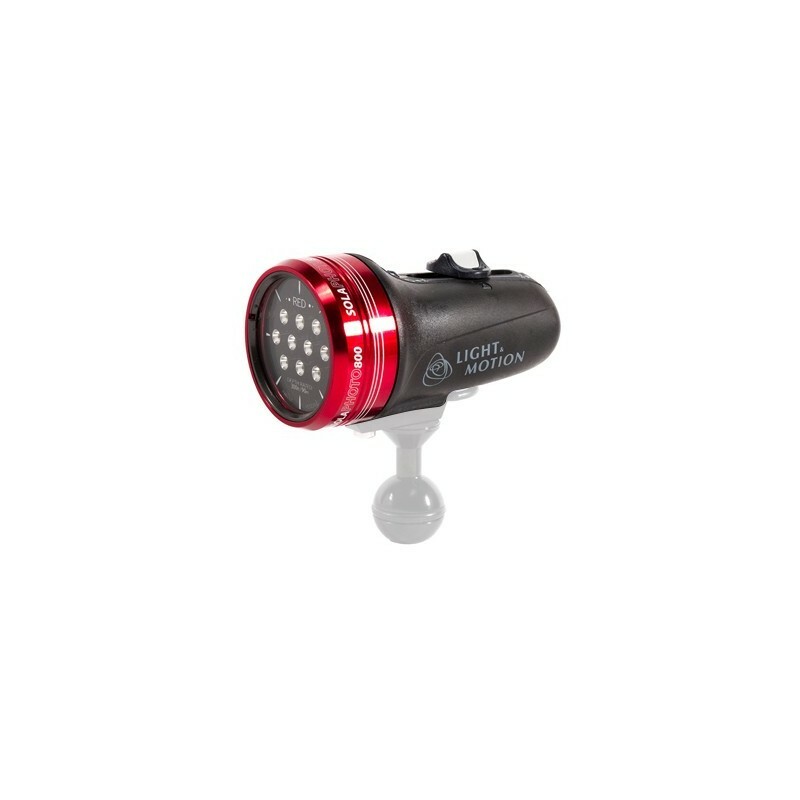 With a family of optional attachments, this light can be easily (in less than 5 minutes) converted for use with either your underwater camera or video. 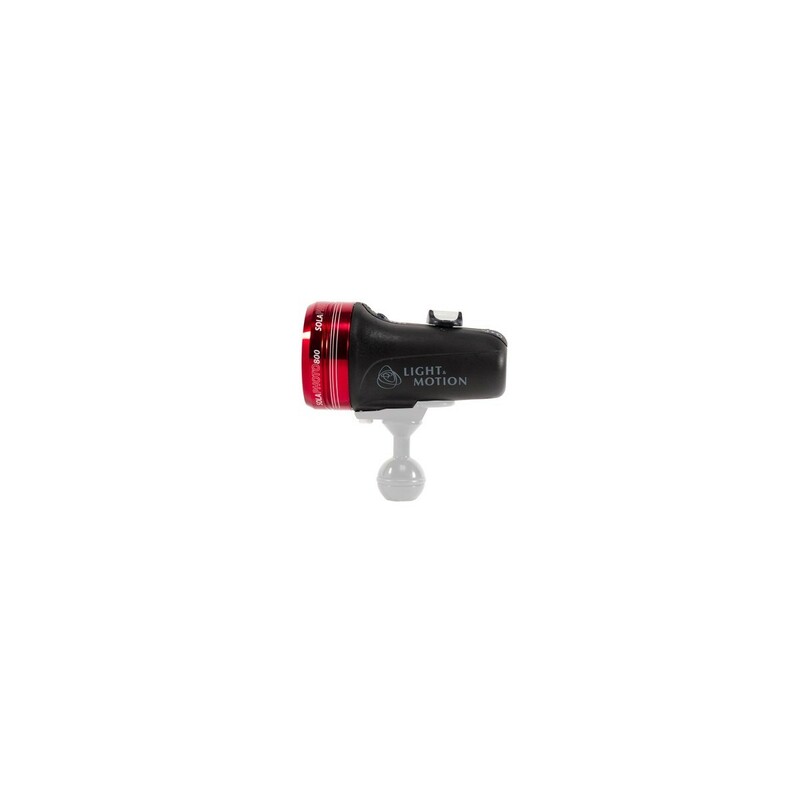 Comes standard with 1" ball-mount to be used with most popular arms. This light is also compatible with Light & Motion`s SOLA Compact Tray & Arm Kit (#800-0150) with purchase of optional Video Base adapter (#800-0150). All SOLA lights are proudly designed and manufactured in the USA. 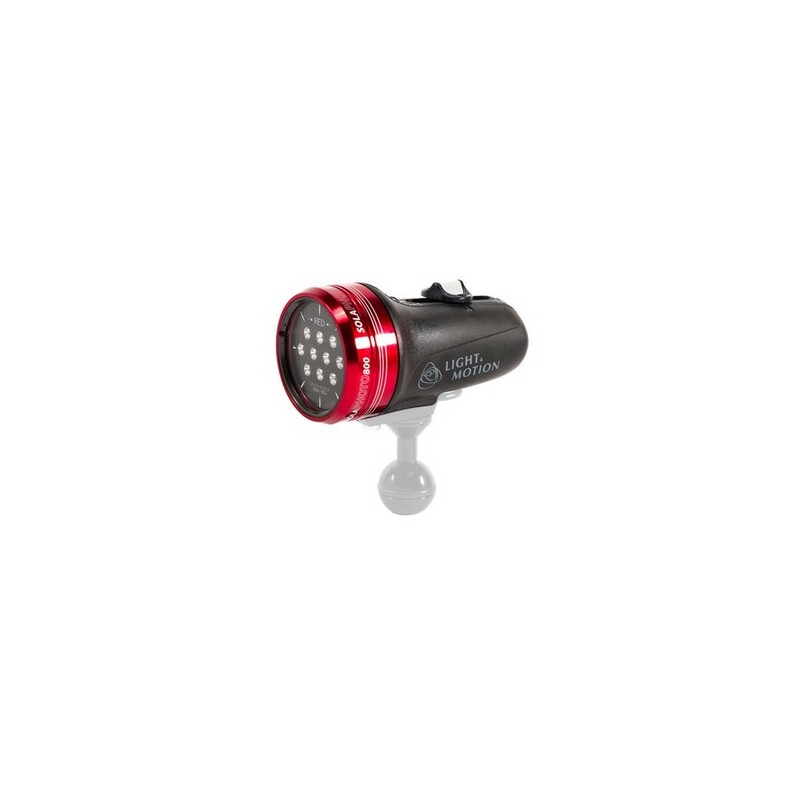 Red lighting offers discreet visibility without affecting night vision or wildlife subjects.